Australia has a unique opportunity to become a world leader in the battery minerals market. 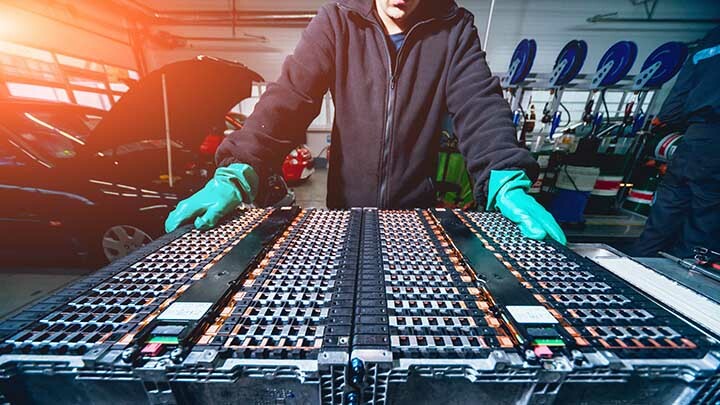 The research on the future demand for battery minerals is undeniable. Bloomberg’s 2018 forecasts an increase in sales of electric vehicles (EVs) from a record 1.1 million worldwide in 2017, to 11 million in 2025, surging to 30 million in 2030 as manufacturing becomes more affordable than the internal combustion engine (ICE) vehicles. China will lead this transition, with sales projected to account for almost 50% of the global EV market by 2025. This leadership can be achieved by taking a holistic approach to this emerging market and not simply focusing on mining exploration and production. Investment in research, rapid development of workforce skills, engaging with communities and raising awareness about mining in general could potentially set Australia apart from the rest of the world in this space. When I founded Xplore Resources in May 2014 it was tough times. The resources market was hitting rock bottom in Australia and the general sentiment throughout the industry was negative. In 2015, I was approached by a Perth-based finance industry professional to be a founding director of a private equity fund that commenced acquiring assets in a contrarian market. One of the main strategies was targeting acquisitions in the emerging technology space, including battery minerals. Xplore Resources set up a Project Generation division and commenced acquiring projects initially for the private equity fund and then on behalf of a range of clients. We have sourced ground targeting lithium, vanadium, cobalt, nickel and graphite throughout Australia and Argentina. It is an exciting market to be involved in, but also has its challenges. One of the things I quickly realised was that Australia has a lack of skilled personnel with experience specifically in this area. I remember posting a job advert for a lithium geologist and received only one application with the required skills. With my background as a Government Skills Advisor (early in my career) I took immediate steps to upskill some of our coal-focused geologists into emerging technology geology specialists. We also created a research division that assisted in exploration strategy for our clients. For anyone working in the emerging technology space, I think that’s a really important question to keep asking ourselves: how do we better prepare for the future? We need to constantly be moving towards getting our existing workforce upskilled in these areas, especially as things transition into emerging energy markets, and preparing the workforce for advancing technology. There are a lot of opportunities for marketplace training on the job. Many of the assets generated by Xplore Resources are owned by publicly listed companies for which Xplore Resources now provides ongoing exploration and corporate support to. Some of these projects are offshore in Argentina. Argentina is a commodity-rich country, especially in the battery minerals space. Unfortunately, some provinces have banned mining. During a recent trip to Argentina I was asked by the Chamber of Commerce to present to a group of senators and industry leaders on how implementing responsible mining practices can improve the quality of life of their citizens and farmers. I had so many examples from the Australian resources sector to draw upon. For example, mining companies supplying water to wineries. My favourite example is where the mine operator rehabilitated a significant part of the farmer’s land, creating profit for the farmer as the cows were heavier at sale due to the health of the pasture. The use cases were endless. They are now working on opening up the mining legislation in this particular province. One of the key things I also emphasised was building awareness of mining by focusing on the ‘end product’ to gain the support of the community. For example, without mining we wouldn’t have mobile phones. I believe Australia would benefit from this kind of direct marketing campaign to develop a deeper understanding of the extent of the things we need in everyday life that come from mining. One of the key things I also emphasised was building awareness of mining by focusing on the ‘end product’ to gain the support of the community. Trying to navigate emerging markets from our clients’ perspective can be a challenge also. A hurdle for our junior clients is that the public often try to compare emerging markets with producing markets such as gold, copper and coal, but realistically they are two completely different things. While the producing markets have existing revenue, many of the new emerging market projects are based on the predictions of a future demand. So share prices can go up and down quite rapidly due to trends and or a lack of production. The Xplore Resources team are finding the battery minerals market an excellent opportunity for professional development. From a company perspective, our journey in navigating these markets has been a learning curve, especially because the technological uses of these minerals are rapidly advancing and changing. The journey so far is one that I am proud of and motivated by. The brilliant thing about being at the forefront of an emerging market is all the opportunity it brings to our great country.